There’s an overpopulation problem all right, but not the one you might think. There are seven billion people on our planet, but times that number by 10 and you get the 70 billion farm animals driving the worst environmental crisis of modern times. The impact of our increasing human numbers will come under renewed scrutiny this World Population Day (11 July). Rightly so; the faster we grow, the faster we are knocking down forests, killing off species and using water. Climate change is no longer a distant concept, but a tangible force already affecting so many people all over the world. Overpopulation is all too often seen as a standalone issue. This to me is overly simplistic. Should we not rather address the specific things humans are actually doing? There is little doubt in the scientific community which single activity is to blame: animal agriculture, responsible for at least 14.5 per cent of global greenhouse gas emissions. This is more than all of the world’s transport – cars, buses, trains, planes, boats, ships – combined. While human numbers are rising at roughly 1.2 per cent a year, livestock numbers are rising at double that rate at around 2.4 per cent a year. 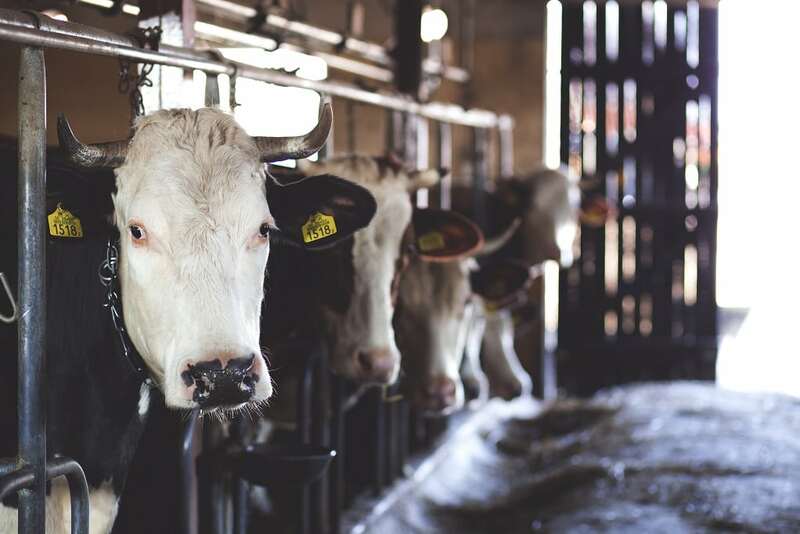 Farming animals emits high levels of CO2 through activities like feed production and the management of manure, which contains nitrous oxide, a substance estimated to have 296 times the climate change potential of CO2. If we continue ignoring the role of diet in climate change then the UK will have no chance of meeting its new commitment of cutting carbon emissions by 57 per cent by 2032. Current policies which focus narrowly on the energy, transport and waste sectors fall a long way short of those required for the new target according to the government’s official climate change advisors. If the UK wants a policy blueprint then it should look to China, who recently announced its plan to reduce meat consumption by 50 per cent to tackle climate change. Such foresight has to be applauded. Will a Western government ever table such a progressive climate initiative? It is hard to imagine one in the UK anytime soon. A global shift to a vegan diet would see climate emissions decrease by 70 per cent by 2050, according to a recent study by Oxford University, and result in a monetary saving of over $1trillion in costs linked to climate change and healthcare. Can we afford not to stop eating meat? we are headed to human extinction by 2100 due to animal ag /drought/methane/CO2 (think of all the fossil fuel and water inherent in the production/transportation of meat), ocean acidification, ocean deoxygenation. i’ve been vegetarian since 1976 and vegan since 1999 for these very reasons…we were warned in the 70s and here we are. the thirst/taste for blood and rotting carcass has doomed our species to oblivion. we deserve it for the suffering/torment/slaughter of 70+ billion land animals and trillions of sea animals PER YEAR. bye bye humans. your children and grandchildren have no future. keep on eating your meat, planet killers.